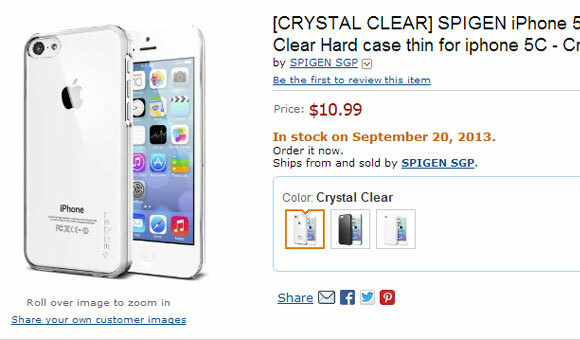 Apple's popular iPhone case maker SPIGEN recently launched a series of cases and screen protector for most rumored device iPhone 5C. This listing on Amazon, does confirms the name and design and the phone does exist and we're likely to see it alongside iPhone 5S next month. If this listing is to be believed then we can expect the iPhone to go on sale from September 20th. SPIGEN has also uploaded a bunch of marketing photos of their cases featuring iPhone 5C renders. Its photos align almost too perfectly with the recent leaks the device got during the past couple of weeks, so it might also be a cheap publicity stunt. There has been Silence mode switch missing in the previous leaks but now as we can see in the below image from SPIGEN it's present and is placed exactly where you'd expect it to be - above the volume rocker. According to AllThingsD, Tim Cook and his trusty VPs are going to announce both the new iPhone lineup at an event on September 10. Apple iPhone 5C online chances of releasing in september 10 are very less, according to roumors company will be announcing Apple iPhone 5C. 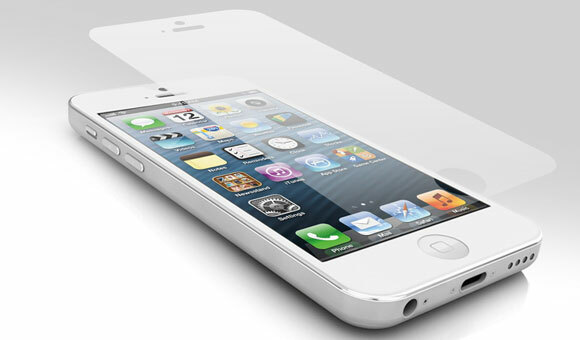 It will be cheaper because of its plastic body model because of which buyers will be having eyes on its releasing.